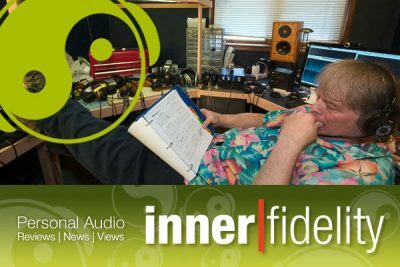 Keith Pray, Publisher of Source Interlink Media web sites, is thrilled to announce the April preview launch of InnerFidelity, a new website dedicated to playing well with personal audio. Reviews and topics will include headphones, headphone amplifiers, and portable media players, as well as articles on USB DACs, computer speakers, iPod/iPad docks, network players, streaming players, and portable device and computer applications. Tyll Hertsens (founder and previously CEO of HeadRoom) will lead the charge as Editor-in-Chief to uncover and expose all the great gizmos and gadgets that bring the world of music to your ears. As a sister site to the online properties for Stereophile, Home Theater, Home Theater Design, Ultimate AV, and Shutterbug, InnerFidelity will focus on the world of “Personal Audio” as experienced through the ears of experts and enthusiasts. InnerFidelity Forums are a perfect place for you to ask questions and get advice from our staff and seasoned hobbyists. InnerFidelity will also develop community projects and organize events in the forum areas. InnerFidelity will also cover and participate in various aspects of the headphone hobbyist community and feature: DIY kit reviews; DIY builds; forums for community inspired headphone measurement projects; and attendance at community sponsored events. We look forward to seeing you at www.innerfidelity.com, and helping you keep in touch with the world of great personal audio.